Some people are unhappy with how Dane was handled, but Dane's owner maintains that she really loved and cared for him. 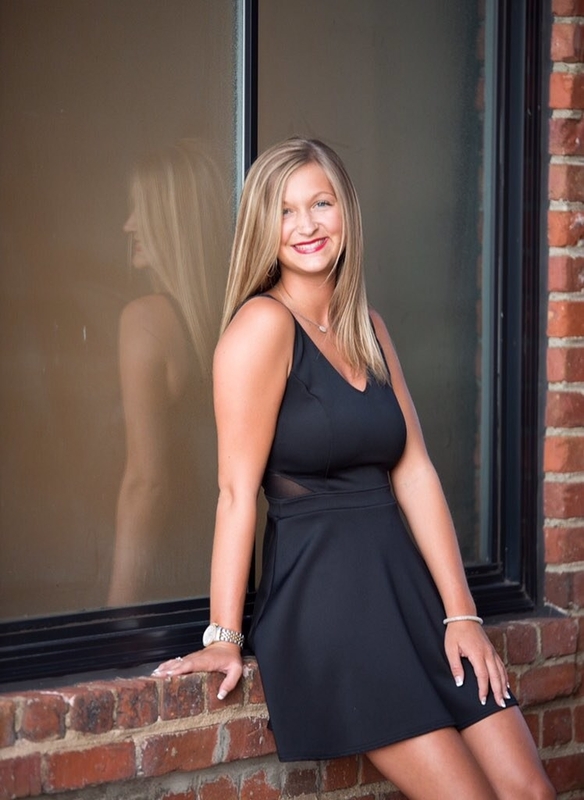 This is 18-year-old Brooke Essick from Kernersville, North Carolina, and her friend Macy Carmichael. 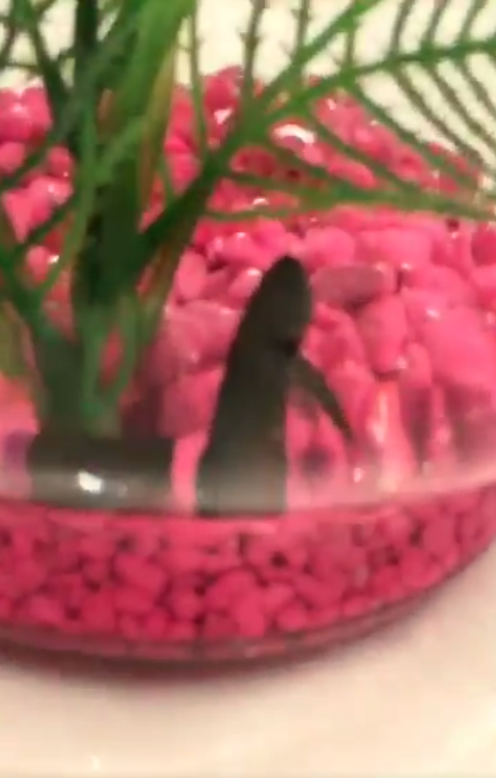 Essick had a fish named Dane, until something truly comically unfortunate happened recently. Carmichael caught it all on video. On Wednesday, Essick noticed the water was getting dirty in Dane's bowl, so she put him in a cup and transferred him over to a new, clean bowl. Essick explained BuzzFeed News she had to use her hands to pick Dane up from the cup and plop into the new bowl to avoid pouring "the dirty water into the new water." Carmichael recorded Dane swimming in his new bowl for five seconds, the friends recalled, when suddenly "he dropped dead." Or, rather, the fish appeared to have stopped moving altogether and his belly began floating up. "We were in shock because we thought he was for sure dead," Essick said. "We thought the water was too hot." 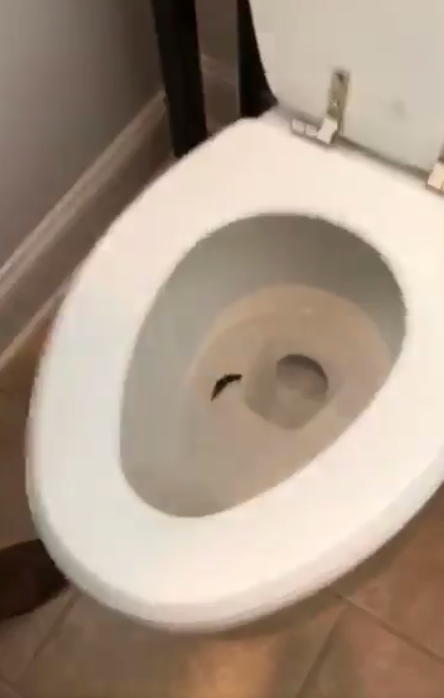 “Alright, I guess we have to flush him," they said. Essick said as soon as she hit flush, she looked down and saw Dane "start moving" and "swimming to the bottom of the toilet." In the video you can hear her screaming, "He was swimming! He was swimming!" when she made the realization. Both she and Carmichael, who was still recording, are heard shrieking. Essick told BuzzFeed News she had not even drawn the comparison to Finding Nemo until she shared it on Twitter and tons of people pointed it out. "I didn't even put two-and-two together at first," she said about the reference. A lot of people found it hilarious, but some commenters are calling their actions "horrible" and labeling it "animal cruelty." 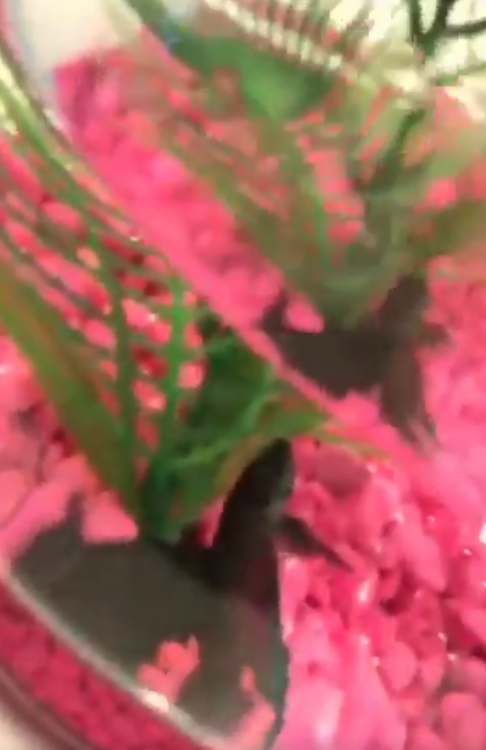 Someone explained that beta fish are sensitive to pH and ammonia levels in their water, and that Dane was probably "in shock" when he was placed in the new water. Essick wants to make it clear that she "did not mean to kill the fish. ... I'm probably the biggest animal lover," she said. "We just happened to catch it on video," she explained. But she has learned a lot from this about beta fish environments and how they're handled. She also wants to let Dane know she tried, and that she misses him a lot. "Dane, he lived a long, happy life and we love and miss him," she said.